I'm sure these heretical models will be interesting if introduced on a wider scale! That's the closest thing to an official Dark Mechanicus model we've seen in a while! Be a good template for some cultist conversions if never made more widely available too. I think the odds are good for a dark mechanicus release if Blackstone Fortress turns out to be popular. Standalone games like this have often served as testbeds for bigger 40k stuff. I certainly hope these guys get rolled out fully with a deeper exploration of the lore behind them. Great aesthetic to them. Very interesting! For anyone who has read the Forges of Mars series, it is proving to be a great year for being able to add rogue traders and other unique elements alongside AdMech for a thematic Explorator fleet. The new "bad guys" now allow you to field some interesting protagonists too! It will be interesting to see what the profiles of these models will be. I believe the previous Rogue Trader Kill team had to be taken as a whole unit, so being able to take individual models now will be nice. If they intend for all 8 protagonists to be playable together in 40k, does that mean they're all Imperium? Even the Eldar and the Kroot? Will the Eldar player have Imperium and Aeldari, or will Eldar players actually not be able to use her? And of course, what the hell faction could the spindle drones possibly be!? 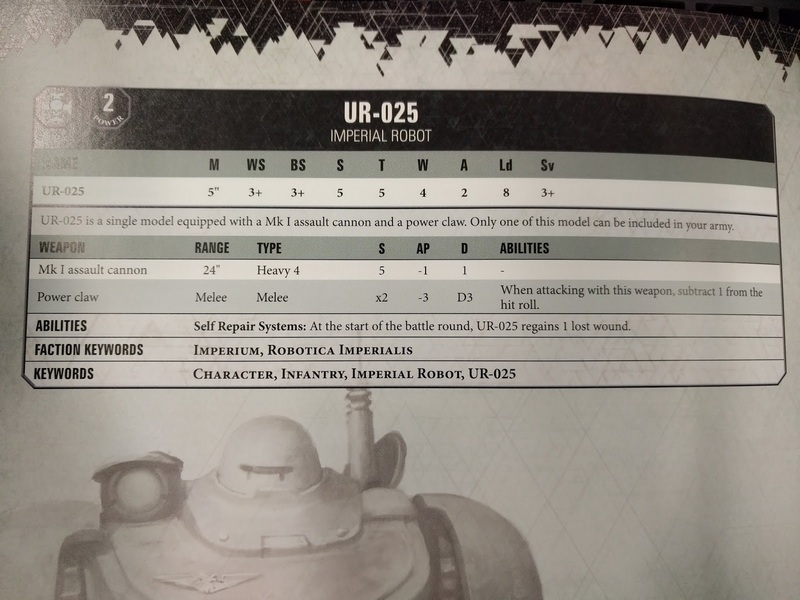 I just hope the robot dude gets the keyword rules for the mechanicus. 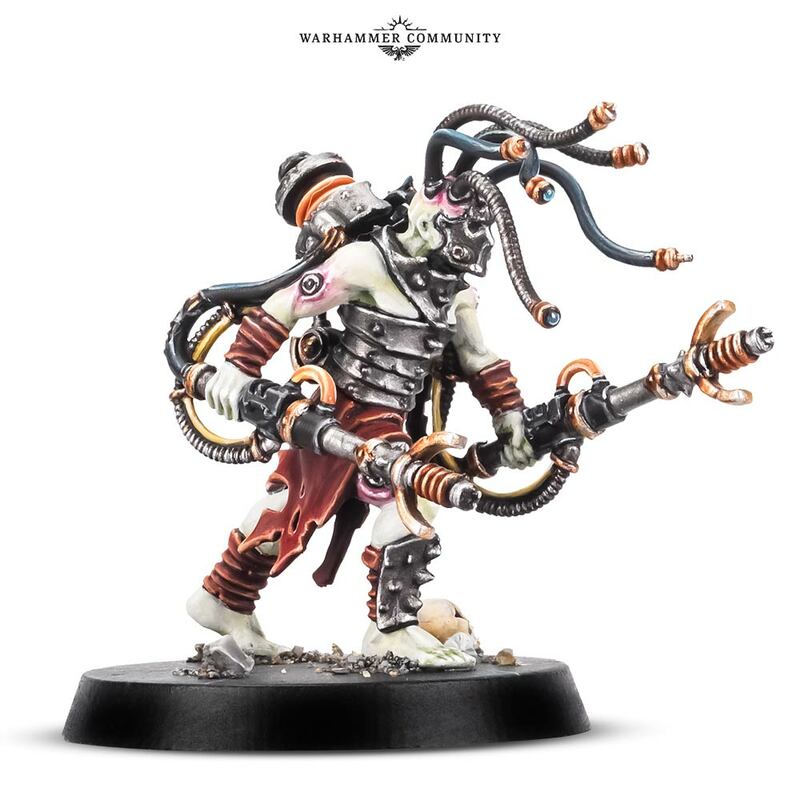 I was disappointed when that van-Gauss guy from the rouge trader game didn't get any keywords or ways to be a part of the mechanicus, so I hope they give us a little more this time! Anyone else feel like the smattering of "odd" models is testing the market for possible new/upcoming codex releases? I've painted up my van-Gauss in my standard army colours, sometimes he moonlights as an inquisitor, sometimes he sneaks into a corpiscarii sqaud . Golgothan abhumans? Too many syllables. Let's give 'em an easier to remember, shorter name... like squats! so aparently the robot is a man of iron... I was wondering when they would have that guy show up. I guess no one on the ship has been around the mechanicus's robots to go "hey... is that robot having independent thoughts?" Edited by Tiger9gamer, 09 November 2018 - 01:34 AM. GW can't call them squats just like they can't use Eldar. I was bummed about this.... i've been praying to the Omnissiah for another HQ choice for the Ad-mech.. turns out he's Elite anywho. What can ya do ! Relatively slow, zero canticles or forge world traits ( these i could leave with ) < Robotica Imperialis> .... So even if he's pretending to be Mechanicus ... he's doing a poor job and cant be taken unless your playing narrative you have to pay a CP to take him in an aux ... and for a 40 point unit ... would you ever really bother. Edited by synthaside, 09 November 2018 - 09:28 AM. Do we have rules for the Cultists yet? Well I mean, don't you think the actual Mechanicus would see it and realize it's not actually an STC-design automata? Makes sense it wouldn't want to be on the field with them. Never mind that it effectively has BS/WS4 due to its cannon being heavy and its claw being -1 to hit. Edited by DanPesci, 09 November 2018 - 01:07 PM. They had a real opportunity to make a worthwhile unit for us instead new usable chaos hq and we get keywords that mean we can't even use the sub par thing. Actually, there could be applications for the good old robot, as it's a character. As objective camper (untargetable) with reasonable range, and the threat of Heroic Interventions with considerable possible damage output, there might be more to it than directly comparing it to its bigger bubbly cousins. Not competitive, but usable. If it were possible to take it without breaking a detachment I'd agree ..... but not at a cost of -1 CP while the shooting is better than an enginseer ... you can get the same combat unit support from datasmith.